Obituary – Roesler, John Marvin « Perry High School Alumni Association, Inc.
F.F.A. 49-52, F.F.A. Reporter 51-52, Wrestling 52-53. 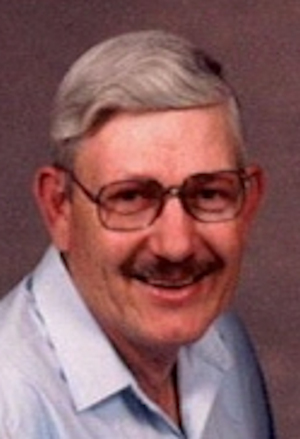 John Marvin Roesler of Bernice, OK passed away Wednesday, January 19, 2011 at his home. He was 75. Mr. Roesler was the son of Herbert and Bertha (Foreman) Roesler and he was born on February 3, 1935 in Perry, Noble County, Oklahoma. As a youngster John attended Fairview and Four D Rural Schools from 1st thru 8th grade. He attended Perry, Oklahoma High School and Graduated in 1953. While in High School John was active in the FFA, showing cattle. 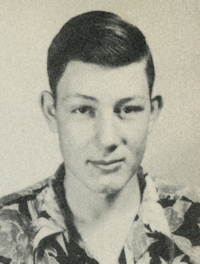 John Served in the United State Army from 1957 to 1960. He Owned and Operated Fairfax Livestock Auction, and M & R Mobile homes sales in Fairfax, OK. Then he owned and operated M & R Mobile Home Park in Kansas City Kansas. At the time of his death Marvin and Mary own Village West Mobile Home Park in Bernice, OK.
On July 1, 1957 he was united in Marriage to Frances (Beisel) Roesler they shared 27 years of marriage. They were divorced. From this union was born 3 daughters and one son. Beverly, Barbara, John B and Brenda. He married Mary K. Hale on June 4, 1989 at Effingham, Kansas; they shared over 21 happy years of marriage. She survives of the home. He was baptized and became a member of the First Baptist Church of Blackburn, Oklahoma on December 10, 1971. He is survived by 3 daughters and one son. Beverly Singmaster and husband Scott of Perry, OK, Barbara Spears and husband Bill of Perry, OK, Brenda Moody and husband Eric of Edmond, OK, and John Roesler and wife Connie of Joplin, MO. Two Step sons Tony Pettibon and wife Amanda of Oswatomie, Kansas and Tracy Pettibon and wife Rose of St.Joseph, Missouri. Three sister in laws Irene Saile of Pomona, KS, Edith Sumner of Bakersfield, Calf, and Nita Roesler of Perry, OK. 10 Grandchildren and 7 step grandchildren, 2 great grandsons and 2 step great grandsons and one step great grand daughter. He was preceded in death by his parents, a brother Gordon, a step daughter Kathy Sue Pettibon and a step son Terry Leland Pettibon. Funeral Services will be Saturday, January 22, 2011 at 2:00 p.m. at the Cleora United Methodist Church with Rev. Richard Brasher Officiate. Internment will be in the Fairland Cemetery in Fairland, OK. Visitation will be one hour before services at the Church where the family will greet friends. Military Rites will be conducted by American Legion Post No. 147 Funeral detail. Services are under the direction of the Paul Thomas Funeral Home in Miami, OK.